The ownership/management class of local TV broadcasting blew through Las Vegas for the NAB Show last week in good spirits. And why not? Stock prices are up, the outlook for retrans growth remains positive, selling multiples are high, regulators are mostly at bay, network-affiliate relations are as good as they have been in a long while and political advertising is expected to explode next year. Yes, core spot is still in the doldrums, but the feeling is that it will eventually be revived by the advent of automated selling and a strong sports betting ad category. What grumbling I heard last week was aimed at the Justice Department and at what one lawyer called its “crabbed view” of local media that justifies its keeping the lid on local station ownership. More of this below. But the good Vegas vibes belied what should be long-term concern about the fate of broadcasting. Can broadcasters curtail the loss of local ad dollars to Google and Facebook? Can they withstand the onslaught coming from Hollywood and Big Tech in the form of direct-to-consumer streaming services? The day after the convention closed its doors, Disney unveiled pricing for its long-awaited streaming service — Disney Plus will go for just $6.95 a month. At that price, Disney said it can amass between 60 million and 90 million subscribers by the end of fiscal 2024. Disney Plus will be competing with Nexflix, Amazon, Hulu and, before too long, entries from NBCU and AT&T’s WarnerMedia. Those last two will be among those particularly dangerous to broadcasters. Not only will they be out to steal viewers from the broadcast networks, but also ad dollars. Speaking at the new Executive Leadership Summit at NAB on Sunday, Sarah Aubrey, head of original content for the planned WarnerMedia service, said the service would start as a pay service, but that there would be an ad-supported option as there are for Hulu and CBS All Access. Although such high-power competition was not a big topic of discussion at the convention, it did creep into the keynote speech of NAB President Gordon Smith. It’s interesting that the NAB does not call on any of its board members to speak publicly at the convention to address the big existential questions such competition presents. I suppose it would be a downer. However, there were smart executives in Las Vegas that are keenly aware of the challenges that broadcasting is facing. They are the people who run the companies that supply the technology that makes everything go. At the annual pre-NAB conference hosted by research firm Devoncroft Partners, two told it as it is. “I think our customers are in a really tight spot, where technology has fragmented the traditional gold mine that is the linear broadcast feed,” said Imagine CEO Tom Cotney. Belden Chairman-CEO John Stroup said nobody in TV is immune, including those aggressively pushing the digital frontier. “At the end of the day what we need, and what our investors worry about, is … for our customers to make money in the part of their business that’s growing. Convention attendance was down 1.6% from 91,460 in 2018. That’s almost a positive in light of the nearly 10% drop between 2017 and 2018. The NAB didn’t release the net exhibit space, but I’m guessing it too was off from 2018, when it was just over one million square feet. There were expanses of the North Hall in the Convention Center filled with sitting areas and there was even a promenade with park benches. Space there was not at a premium. These numbers mean a lot to NAB since registration fees and, more important, exhibit space rental account for most of the association’s income. In fiscal 2016, the last year for which the NAB income tax return is available, the Vegas Show generated more than $46 million in revenue. Once again, I was disappointed by the ATSC 3.0 progress at the show. Citing unnamed sources, we had reported the week before that the proponents had plans for 30 markets where they would establish 3.0 stations by the end of 2020. So, I made a point of going to a press conference called by the Pearl group and Spectrum Co., the joint venture of Sinclair and Nexstar, to get the details. But there were really none to get. What I got was a list of 61 markets where planners said they had identified a station to serve as the 3.0 lighthouse by the end of 2020. A lighthouse is a station that will aggregate 3.0 signals as the industry and consumers transition to 3.0 from today’s incompatible ATSC 1.0 service. Nobody could give the name — the call letters — of a lighthouse station in any of the markets. That’s because, I was told, it will take a lot of heavy legal work to negotiate and write the contracts establishing the lighthouse stations and governing various host stations that will to air displaced 1.0 signals during the transition. What’s more, affiliation agreements and syndication contracts may have to be amended before broadcasters can shift programming to 3.0 or to new 1.0 formats. “It will cost more to pay the lawyer than it will to buy the hardware in these markets,” said one broadcaster involved in the planning. The other thing nobody was publicly talking about was the continued intransigence of ABC and CBS. I don’t see how the big markets can convert to 3.0 without their cooperation. Some proponents were hopeful that they could win over CBS’s new chief technology officer, Phil Wiser. Wiser made his NAB debut in a Q&A on the convention’s main stage. I missed it, but watched a recording. He went on about the IP transition, the cloud, 5G, AR vs. VR, “ambient computing,” blockchain and CBS All Access. ATSC 3.0 never came up. For more on 3.0 developments, see our comprehensive coverage by Glen Dickson. You know I hate to a doom-monger, but if I were T-Mobile or one of the other winners in the FCC incentive auction, I would not get too excited about getting timely use of the spectrum I bought. 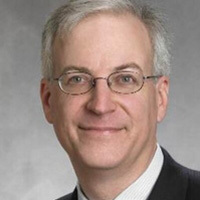 Although broadcasters have managed to get through the first two phases of the 10-phase repack, many of those involved in the actual heavy-duty RF work are doubtful they will meet the July 2020 deadline. We had a story that essentially came to this conclusion last month and I got a couple of solid confirmations on it in Vegas last week. The dour assessment is at odds with the upbeat one that FCC Chairman Ajit Pai presented Tuesday during his NAB address and that the FCC Media Bureau’s Barbara Kreisman gave earlier during her talk at Erwin Krasnow’s annual (and I’m sorry to say last) client breakfast on Monday at the Las Vegas Country Club. “Overall, I’m pleased to report that the post-auction transition has gone well so far, and we find ourselves ahead of schedule,” said Pai. “So far, so good,” said Kreisman. “Don’t bet on it,” says Jessell. The M&A news at the convention was modest. Nexstar CEO Perry Sook greased his bid to acquire Tribune Broadcasting by agreeing to sell a CW-MNT duopoly in Indianapolis to African-American broadcaster DuJuan McCoy for $42.5 million. From what I can gather, McCoy is paying just three or four times cash flow for the stations — a sweetheart deal, and when I saw McCoy at an NAB reception Sunday night he was clearly delighted by it. The deal solves a problem for Nexstar. In Indianapolis, Tribune currently owns WTTV and WXIN, a CBS-Fox duopoly. 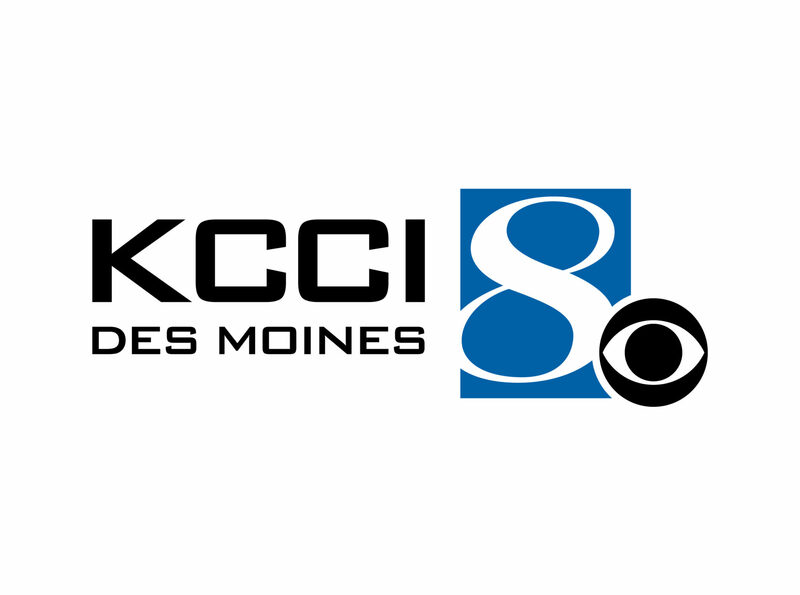 It was formed in 2014 when CBS, as part of a larger deal with Tribune, switched its affiliation in the market from Media General’s WISH to WTTV. The FCC allowed the move even though its rules ban combinations of top-four rated stations (in most cases Big Four network affiliates). 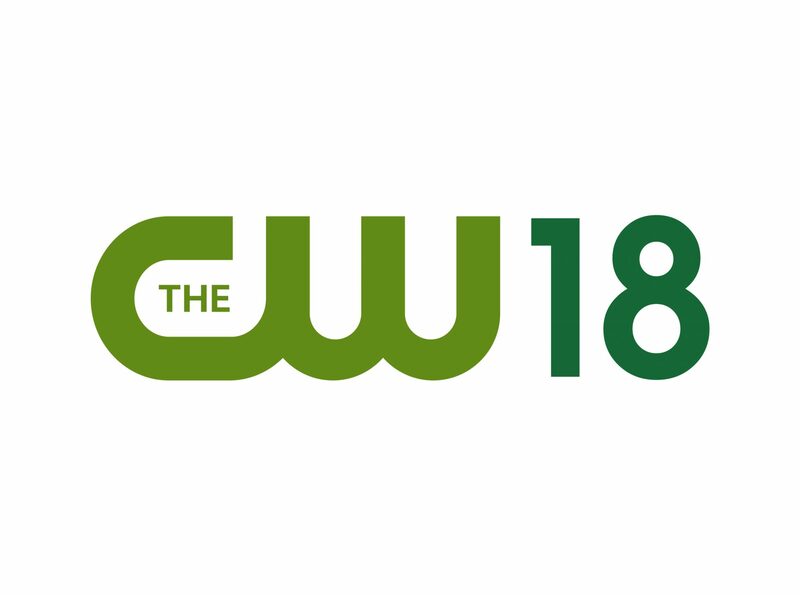 When Nexstar absorbed Media General in 2017, Nexstar acquired WISH, which had become a CW affiliate, as well as Media General’s WNDY, an MNT outlet. Again, the FCC was OK with it. To make its Tribune merger palatable to regulators, Nexstar has proposed breaking up 10 top four duopolies that the merger would have created, but it wants to keep the Tribune’s pre-existing CBS-Fox in Indianapolis. That’s not a given. The FCC and the Justice Department’s antitrust division are closely scrutinizing top four duopolies. Justice seems dead set against them right now, while the FCC says seem suddenly unsure about them. It will consider new ones only on a case-by-case basis. In any case, Nexstar knew it had to shed the CW and MNT stations in Indianapolis, and, by selling them to a minority, it sweetens the entire Tribune merger as the FCC keeps saying it is committed to increasing minority ownership. Nexstar knows McCoy well. Faced with having to unload stations to clear larger deals, Nexstar has turned to McCoy twice before. In 2014, it sold McCoy WEEV (CBS) Evansville, Ind., for $27 million. Three years later, it sold him KADN/KLAF-LD (Fox/NBC) Lafayette, La., for $40 million. At a session featuring three FCC commissioners, Republican Michael O’Rielly noted that the FCC has created an “incubator” program whereby radio broadcasters win some regulatory relief if they help minorities get into ownership. He then asked what should be done “on the TV side.” I would say talk to Sook and McCoy for some ideas. But proponents of such programs should keep in mind that they can go bad. In 2014, Nexstar sold three small-market Fox affiliates to another African-American, Pluria Marshall Jr., with the understanding that they would be duopoly sidecars for other stations Nexstar had in the market. But that partnership went sour. The week before NAB, Marshall sued Nexstar, alleging that it had overcharged him and undermined the operations of the stations so that they would go bust and Nexstar could reacquire the stations after the FCC relaxed its ownership rules. In his Tuesday speech, FCC Chairman Ajit Pai rightly boasted about his deregulatory record. Still to come, he said, is the quadrennial review of the ownership rules the FCC launched last December. That comment had me and some broadcasters wondering whether the chairman had lost track of his own agenda. 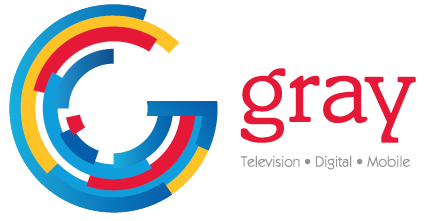 If Pai wants to further deregulate all he has to do is OK Gray Television’s proposed top four duopoly in Sioux Falls, S.D., that has been pending for nearly a year. As I said above, the FCC said it would reconsider such combos on a case-by-case basis. That would set a precedent for similar duopolies and constitute a big deregulatory step forward — no rulemaking needed. A lot of broadcasters would love to own and operate two Big Four network affiliates in a market. But, for some reason, as I pointed out with my overly extended basketball metaphor last week, Pai has been refusing to move on the deal. He is being deterred, but I know not by what. And even in private meetings with broadcasters, I’m told, he wasn’t offering any explanation. Chairman Pai’s reluctance on Sioux Falls is not all that stands in the way of top four duopolies. There is also the Department of Justice. Antitrust lawyers there have convinced themselves that ownership of two network affiliates is not only unfair to advertisers, but also to MVPDs that have to negotiate with broadcasters for carriage rights. At NAB, Justice antitrust chief Makan Delrahim sat for an on-stage interview with NAB President Gordon Smith and spoke in generalities about how Justice analyzes mergers between competing companies, but he didn’t have much to say about the local media marketplace in which broadcasters operate other than to say that Justice is always open to reconsidering its assumptions about it. There’s been no official notice of how the two-day session will be organized and who will appear. But I heard at the show that there will be at least four broadcasters making the case for the industry: Tegna CEO Dave Lougee, Gray Television Co-CEO Pat LaPlatney, Sinclair CEO Chris Ripley and NAB General Counsel Rick Kaplan. BIA’s Rick Ducey will provide market profile data that should bolster the broadcasters’ case. In collecting those names, I heard a lot of skepticism about the workshop, about whether it will actually cause Justice to rethink its view of the broadcast market and loosen things up. Another problem with the workshop is that it is focusing only on the advertising market. So, even if broadcasters somehow convince Justice that top four duopolies do not cause spikes in ad rates, they still won’t be able to win Justice approval for top four duopolies. Why? Because Justice also believes that such duopolies are unfair to MPVDs in retrans negotiations. To merge network affiliates in a market, broadcasters have to win on both counts — advertising and retrans. For a change of pace from all the industry talk, NAB invited four White House TV correspondents to share their experiences during a 45-minute session on the main stage — Yamiche Alcindor of the PBS NewsHour, Hallie Jackson of NBC News, Steven Portnoy of CBS News and Cecilia Vega of ABC News. They were interviewed by NAB President Gordon Smith and I have it say it was refreshing to hear the four reporters speak about Trump’s White House without offering any opinions about his personality, his policies or even his prospects. Even when the discussion turned to Trump’s incessant attacks on the media, the reporters were mostly introspective and self-critical. Alcindor said it is not just Trump supporters who distrust the media. From her years covering race relations, she said, she knows that African-Americans are wary of the media, convinced they will take the word of the police over theirs every time. “There are a lot of people who believe what [Trump] is saying because they simply don’t trust us,” she said. Jackson also said the best response is to be better. Broadcasters need to check themselves to make sure they have not been absorbed into the “bubble mentality” of Washington and New York and that they have not allowed the snarkiness that is rife in social media to infect their TV reports, she said. But Vega did not give Trump a pass on his media bashing. She said she was at the Trump rally in Texas in February where a Trump supporter assaulted a BBC cameraman. Now, when she leaves the White House grounds, she said, she looks around for possible assailants. “There is serious danger in that rhetoric, not just to the people doing the job, but to democracy and the First Amendment and the foundations of our country.